Join us for our Permaculture Design Certificate Course and our Advanced Permaculture Courses which will prepare you to design your land and/or start a Permaculture Business. Living Ecology courses are an excellent blend of classroom theory, experiential learning, and social permaculture. All participants who complete the required assignments will receive a course certificate of completion from Aranya Agricultural Alternatives and Living Ecology. Earn your PDC certificate, as you learn the wide scope of permaculture practices. Continue on, and gain teaching or design consultancy skills to start your own permaculture business. Drought proof your land as you learn how to plan and implement rainwater harvesting on your farm, restore water to dry wells and nourish a food forest or orchard. Learn how to create a to scale map and create graphic permaculture design maps. Delve deeply into design theory and process so you can make the best decisions for each site you work with. Learn how to work with rural villagers and make an impact beyond your own farm, this is social permaculture in action. Aranya has 30 years of experience working with thousands of villagers, and will share about building relationships and capacity with poor farmers. Leave a lasting impact for generations to come, as you design a school site and learn fun teaching activities to create a school permaculture program. Courses will be hosted at Aranya Permaculture Farm, a 20 year old dryland farm. The farm is an oasis and an excellent example of rain fed agriculture. 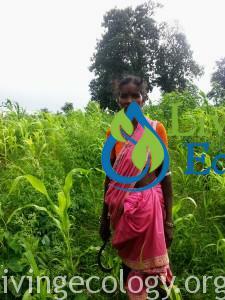 Water harvesting for watershed restoration and farm use are Aranya’s specialties. This is the perfect location to learn Indian permaculture, plant uses, and traditional food preparation. Practical hands on sessions will take place in nearby villages, where you will gain understanding of the real issues rural India is facing. We will talk with villagers and help them with solutions that will have a beneficial impact on their lives and the planet. Aranya Agricultural Alternatives and Living Ecology. We have teamed up with FundMyTravel, a crowd funding platform where you can raise money for your permaculture journey. Create a campaign page, complete a brief profile to build trust, and add a video to tell your story! FundMyTravel has a team of dedicated staff ready to help you reach your fundraising goals. They provide tips and insights on the best ways to spread your word and offer sharing tools to get campaign exposure through social media and email. 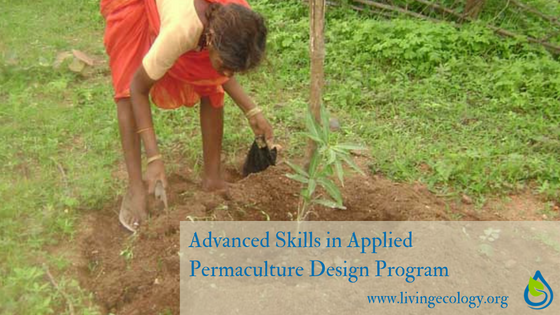 There has been rapid growth in the Indian permaculture movement. The global community will be able to experience this during the upcoming International Permaculture Convergence in Hyderabad in November, 2017. I have 15 years of experience with permaculture in the US, and have been a part of permaculture in Canada, Costa Rica, the UK and Australia. Indian permaculture inspires me, as it reminds me of how far we need to go in Western countries to be as sustainable as the average village farmer already is or recently was. Simple examples of this are the common practice of travel by bullock cart with wheels made of wood, plowing with bullocks with handmade wooden implements, or seed storage and preservation with insecticidal herbs sealed in handmade bamboo baskets with cow dung and clay. Change is rapidly occurring in Indian agriculture. One time common farming methods are quickly fading at the hands of mechanization, monocropping and corporate control of seeds. Permaculture supports traditional techniques which puts power back into the hands of farmers. Many farmers are suffering great debt and difficulty as a result of corporate influence. Permaculture emphasizes traditional and new practices in which all inputs needed are produced by the farm itself, and food self-sufficiency is the outcome. Permaculture originated as a design science for small scale farmers to create more abundance and ease of work, as well as to address the degradation of the environment. In comparison to the West, Indian farmers have the advantage of infrastructure for small scale farming. In India, 67% of farmland is held by farmers who cultivate less than one hectare. Whereas in the US, the average farm size is 175 hectares. In Western countries, permaculturists rarely grow their grains and pulses, and never their seed oils. This is because Western agricultural systems are set up for the large scale farmer. There is no place for a small farmer to take grains or other farm products to be processed, therefore permaculturists are working to set up farmer cooperatives. In India, village grain mills, stone grinders to make seed oil and other small farmer infrastructure are commonplace. Indian villagers are often unwilling to try different cultural foods and habits, which slows the adoption of important permaculture practices. For example, in a village only a few varieties of vegetables are commonly eaten, where a much larger diversity is possible. In the US, we integrate new innovations all the time. Growing a diversity of food plants increases a family’s nutrition and economic stability, as well as resiliency in times of drought, increased rain and changes in weather patterns which are becoming increasingly common with climate change. One of my favorite integrations of permaculture in India is diversifying and increasing the functions and outputs of the common practice of boundary planting. A live fence contains plants such as shikakai and mendhi which are thorny, and therefore an animal deterrent, but also provide a product; and biomass trees such as gliricidia and pongamia which provide leaves to make compost and mulch. A live fence may also contain medicinal plants, or trees that provide timber or firewood, or are utilitarian such as bamboo. The principle of multi-functionality in boundary protection utilizes the fence space for a variety of farm products for use and sale. This is a stark contrast to Western fencing that is done with metal, and lumber from cutting trees down. On the topic of water management, the US and India have different advantages and disadvantages. India has some excellent government programs around watershed management and rainwater harvesting where the US is behind in policy and programs. In the US, there are a lot of regulations around water harvesting which is not a limitation in India. To set up a farm pond (water tank) for example, required permitting and engineering is a long and costly process. Regulations around grey water and black water sewage are crucial to curbing preventable diseases. India often lacks regulations, while the West over regulates. Permaculturists in the US and Australia have been at the forefront of creating new laws that have sustainable ways of dealing with these issues. Composting toilets and greywater that is managed in a safe way, as well as city level regenerative marsh systems for dealing with black water are examples of policy changes motivated by the actions of permaculturists. These are issues I would like to see more in the forefront of the Indian permaculture movement. I am grateful for the ways in which India and Indian permaculture has influenced my perspective and permaculture practices. I look forward to seeing how the Indian permaculture movement grows and affects the current agricultural paradigm. Farmers around the world are struggling, and it is crucial in these changing times that we have options and solutions for the issues that affect them; as food is a foundation that a nation depends on.